Hating Israel - the one and only democracy in the Middle Easy, the country with strong historic, cultural and strategic ties to Iranians – used to be the thing among not only Islamist fascists and clueless lefties, but also some intellectual wannabes. 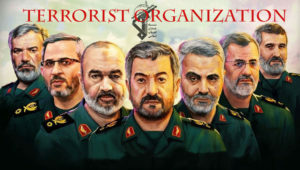 Thanks to forty years of unreformable, warmongering and uber-international terror sponsoring Islamist fascism rule over Iran, the hate Israel crowd is fast shrinking among Iranians of all stripes. True, the amoral lefties and the Islamist cyber Basijis continue with their mission of hatemongering, but, for some times now it has reached the point of diminishing return. Fortunately, at the same time the number of Iranians who love Iran, see her national interests will be much, much better served by concentrating on Iran instead of expansionism via export of Islamist fascism and warmongerings, is on a rapid rise. In other words; all you lefty lovelies who with hatred of Israel are for all intents and purposes allied with the rabid anti-Semite Islamist fascists, beware, the tide has turned. Just droped by to say Tabrik to all my true Iranian friends on re election of BiBi. and here is my new Coffee mug. The picture at the top of the page is such a nice picture. I love it!